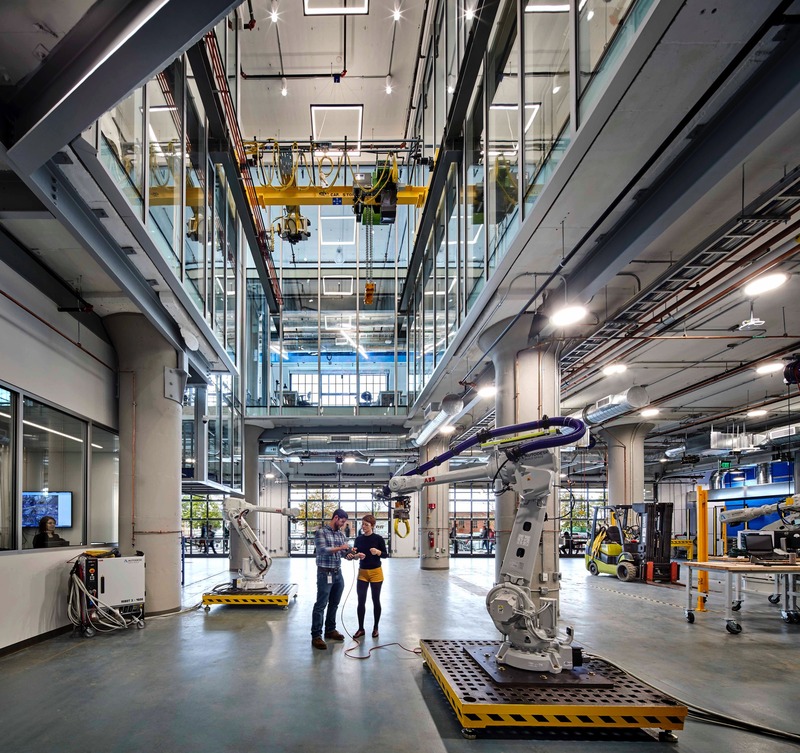 Office and workshop in one place. 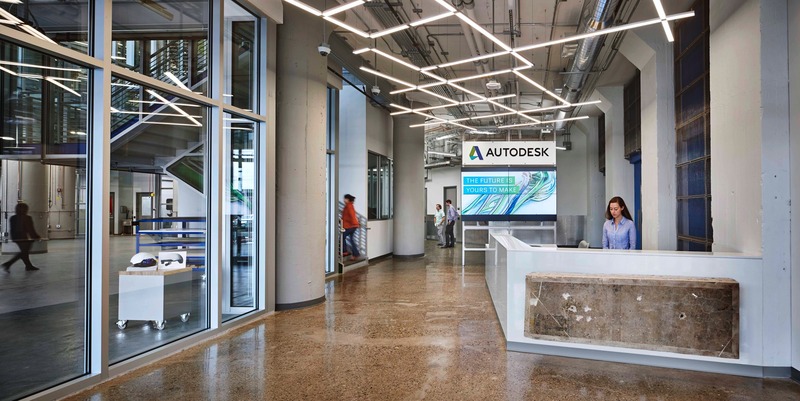 SGA, an innovative architecture firm with offices in Boston and New York, designed a new 67,000 SF facility for Autodesk, the leading 3D design, engineering, and entertainment software company. 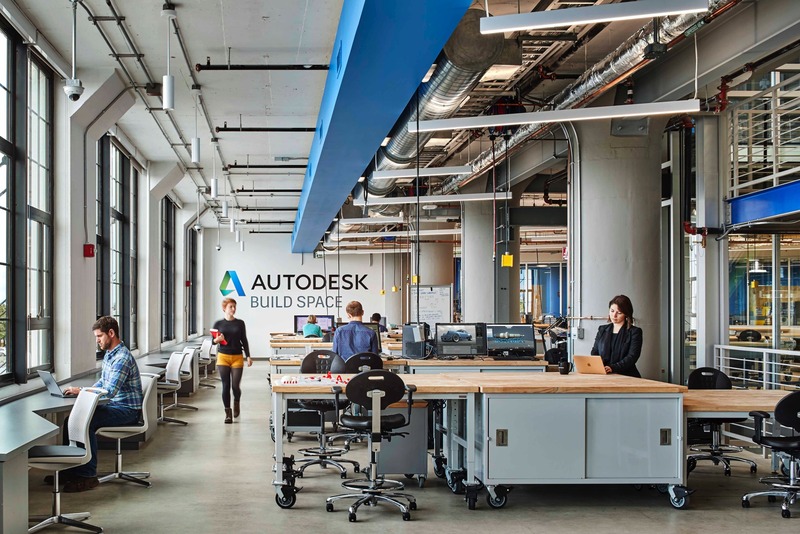 Autodesk’s BUILD (Building, Innovation, Learning, and Design) Space and new East Coast office are located in Boston’s Innovation and Design Building at 23 Drydock Avenue, a former waterside storehouse for the South Boston Army Base, now operated by Jamestown, a real estate developer and operator widely regarded for its expertise in adaptive reuse projects. 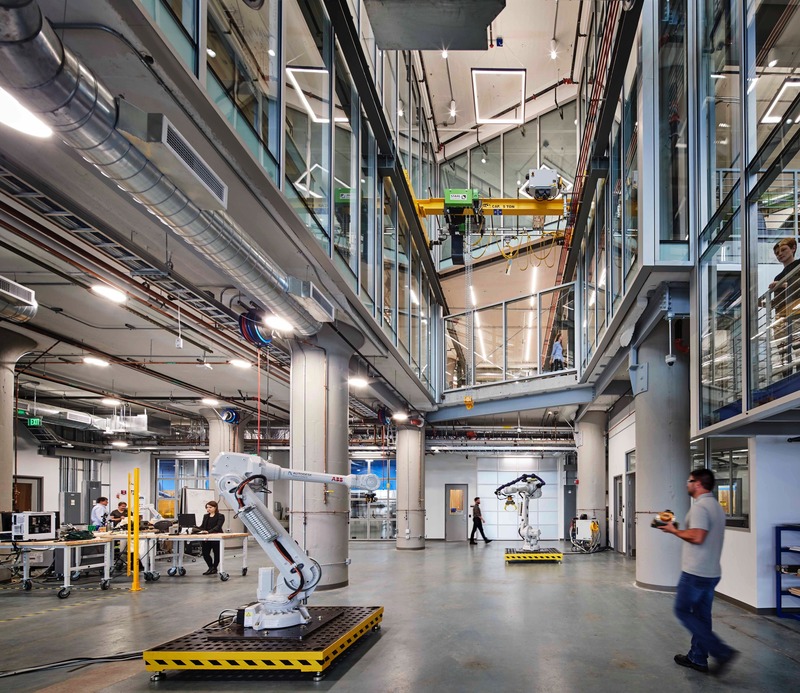 SGA is a leader in Virtual Design and Construction (VDC), the tech-based project delivery method featuring complex and comprehensive 3D building models created in Autodesk’s Revit software. 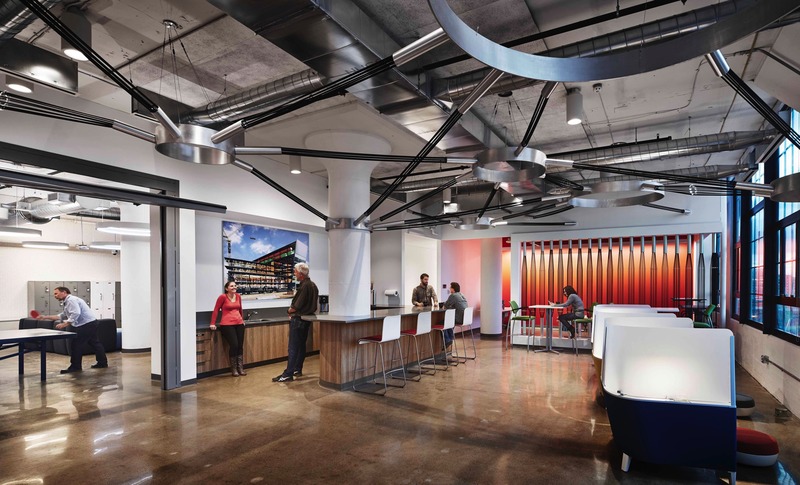 VDC is transforming the building industry by bridging the communication gap between design, development and construction. 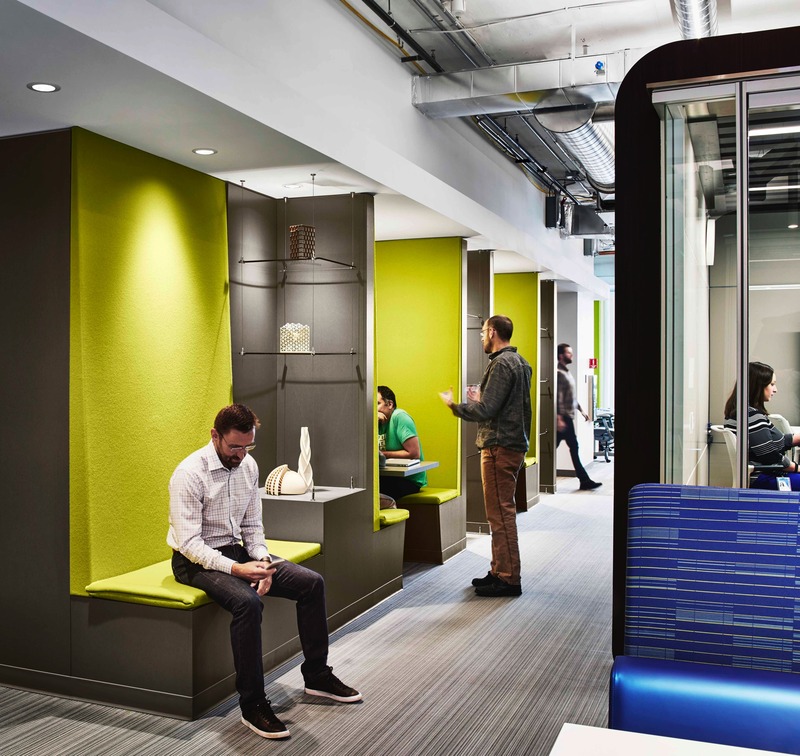 A ‘co-location’ office was created at the site in the Innovation and Design Building where architects, consultants, construction managers and major subcontractors worked together in close proximity to solve the project’s design challenges in advance of construction. 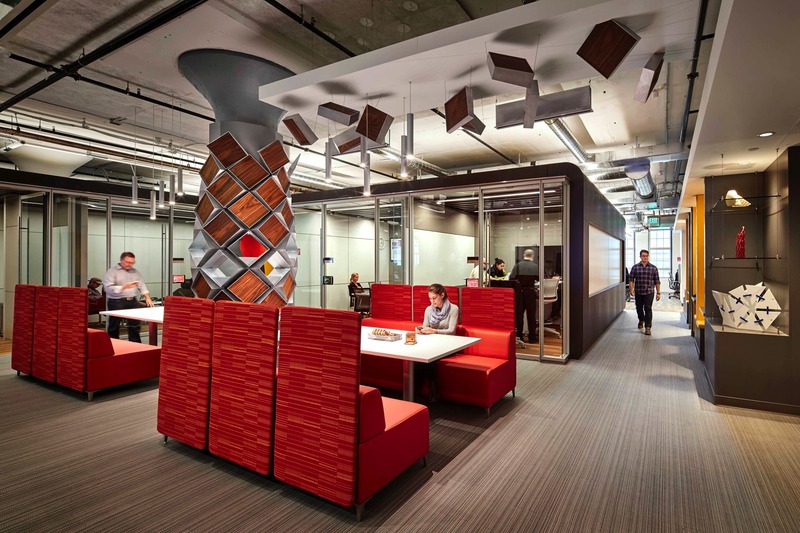 The glass divisions throughout promote collaboration through visibility. 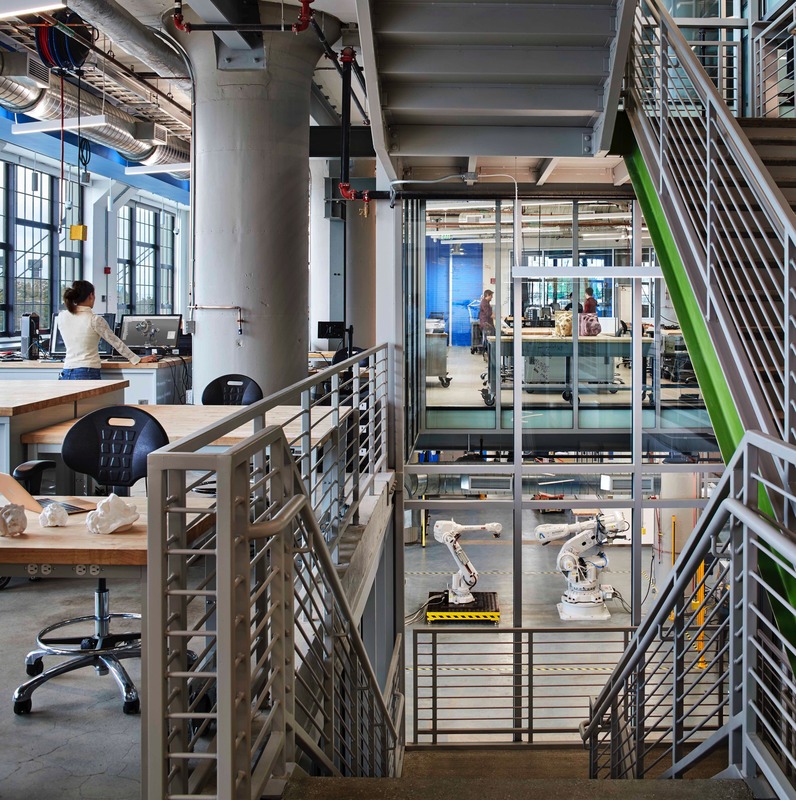 The BUILD Space’s main stairwell landing offers a bird’s eye view of the BUILD space, which allows visitors to safely see projects from a distance. 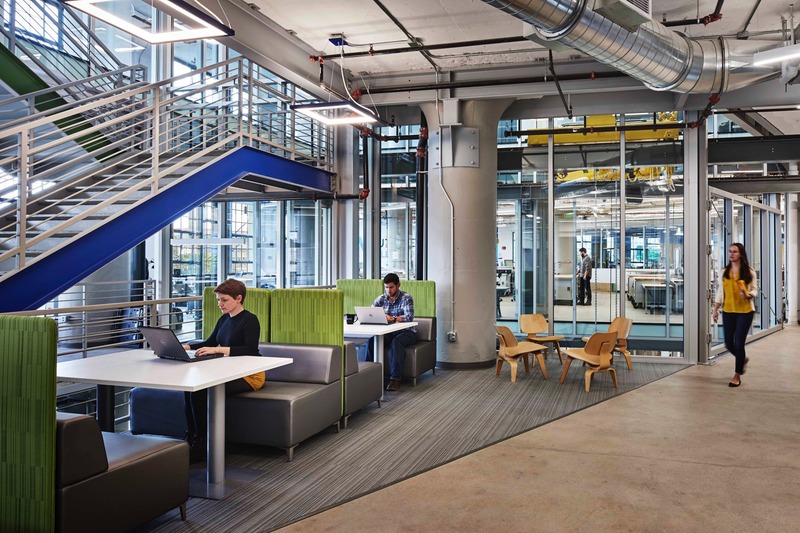 Despite the transparency of the space, the glass is high quality so that the mechanic noise of the BUILD space does not bleed into the reconfigurable office space. 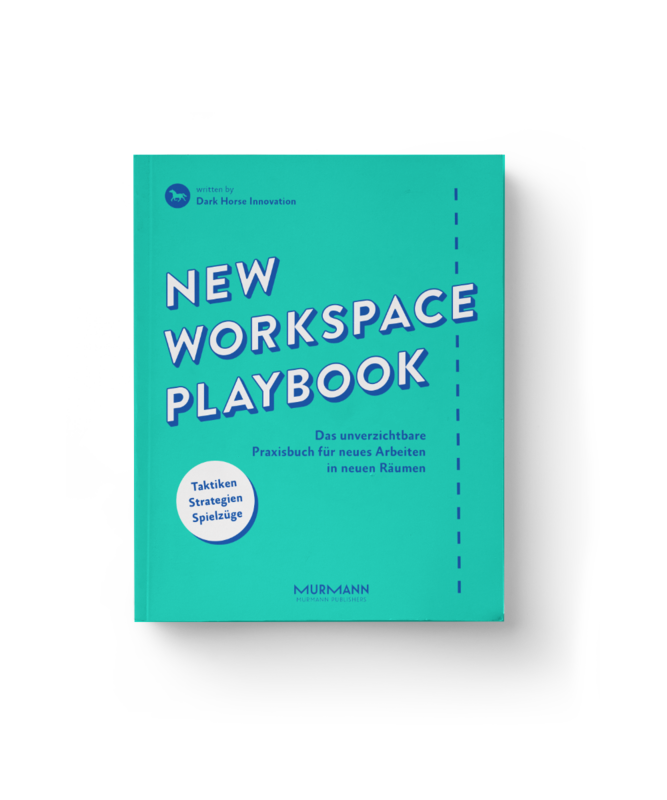 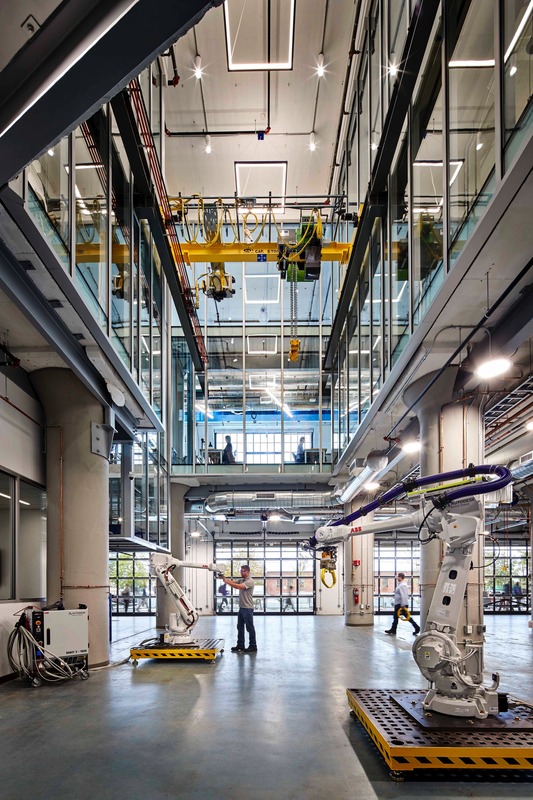 With different project teams in residence at Autodesk on a rotational basis, the first and second floor spaces may be rearranged to suit different working needs. 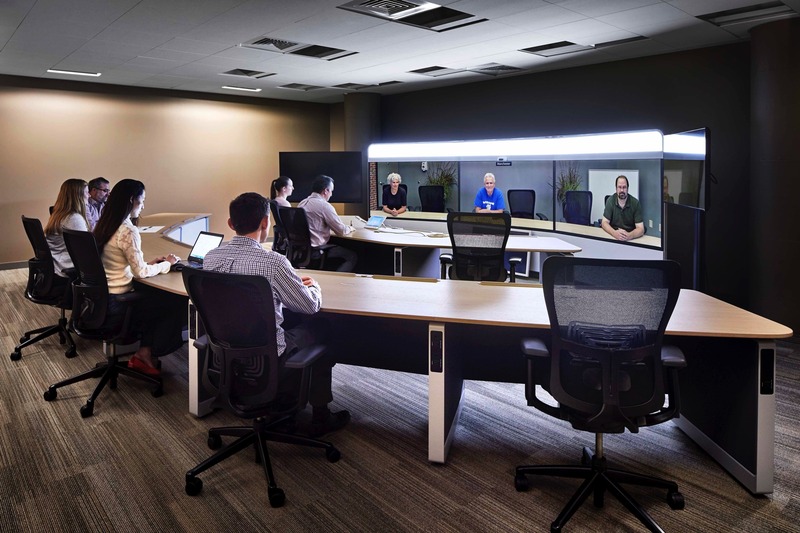 The glass divisions throughout promote collaboration through visibility.